The All Progressives Congress (APC) governorship flag bearer for the Imo State in the 2019 Governorship Election, Senator Hope Uzodimma has revealed that he is a free man, denying his reported arrest by the police yesterday. 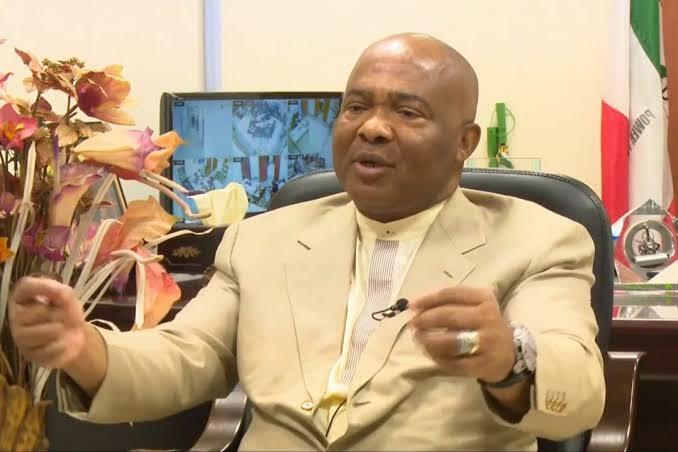 Uzodinma also described the news of the as the handiwork of political opponents. He told reporters who had on Sunday evening thronged his Maitama home in Abuja to inquire about the purported arrest that some plain clothes men claiming to be police officers attached to the Special Presidential Investigation Panel for the Recovery of Public Property accosted him at the Nnamdi Azikwe International Airport, Abuja on his way from Lagos on Sunday evening where he attended a private function. "The men claimed they were looking for me in respect of my alleged non-assets declaration by the Presidential Panel. I demanded for the warrant of arrest which they said they don't have but that the Chairman of the Presidential Investigation Panel for the Recovery of Public Property wanted to see me. I told them if it is true, they should do the right thing by getting a warrant of arrest and not inviting me on a Sunday", he said. Uzodimma who represents Imo West Senatorial District (Orlu Zone) said "after my demand for an arrest warrant and that police invitations are extended only on week days, the so-called policemen immediately disappeared and I drove back to my house with my security details. Nobody arrested me". The Governorship hopeful said that "I have never been invited by the Special Presidential Investigation Panel for the Recovery of Public Property or written formally by the Panel over my purported non-assets declaration. I begin to wonder what the motive behind all these is. I have never defaulted in my assets declaration since I became a public officer. The Code of Conduct Bureau (CCB) which is statutorily in charge of assets declarations has all my documents". Uzodinma has been having a running battle with the incumbent governor, Owelle Rochas Okorocha over the APC ticket.